At the community level, the Lincoln Avenue Stable Project continues to move along nicely. The Rotary Club of Milwaukee’s President-Elect, Ed Krishok, has been engaged by the Lincoln Avenue Stable Community-wide Steering Committee to spend several months helping to develop a comprehensive project plan. 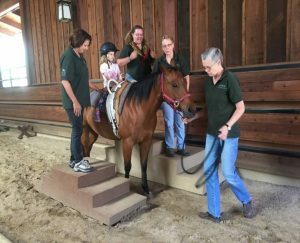 While the project is in overall good shape, Ed will be confirming the budget and timeline, working with MPD representatives to insure their needs are met, and working to clarify the next steps for the equine-assisted therapy and police/community engagement programs. There is growing community interest in the police/community engagement component of the project and Ed will also help assess the program’s space and resource needs in light of that interest. Regarding the club’s fundraising status, we continue to chip away at our $250,000 goal. 152 Rotarians have pledged just over $220,000. And, to help us finish this effort, The Zilber Family Foundation has very generously offered a $10,000 challenge grant. So, if you are still considering a gift, or considering increasing your original gift, please contact the Rotary office.